Creating more love in your life first involves creating more love within yourself; self-love. Today’s post is a must-have tool-kit with a variety of love-inducing mini-meditations, a free guided meditation (The Gift of Self-Acceptance), and affirmations +plus concepts from the experts that shed light on compassion, self-love, and forgiveness…all so you can attract more love into your life! The degree of love we have for ourselves determines how we view others and the world in general and there is nobody who nails this subject better than Louise Hay. The most difficult book I ever read was “You Can Heal Your Life”, by Louise Hay– difficult because the truth was hard to read. She claims all of our issues revolve around a lack of self-love. Is this true for you? 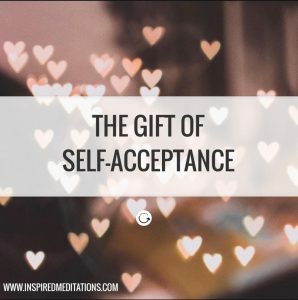 Reading the book I realized that my unrelenting confidence and independence was not an adequate substitute for self-love; that indeed I was lacking in honest-to-goodness compassionate love for myself. More proof of this: In a course I took recently, there was a spiritual oath: Do no harm. To which most people replied they wouldn’t hurt a fly. It wasn’t necessarily the harm we might do to others though- we’re a little more conscious of being kind to other people, but the oath implied the harm we inflict upon ourselves including self-hatred/anger, beating yourself up and submitting to your inner critic. How often have you believed the voice of your inner critic? In order to cement self-love deep within ourselves, it requires going back to the most difficult people to forgive. Often there is a parent (or both) involved. Negative messages and self-talk originated from our childhood. If this is the case for you, begin here. The following is a mini-meditation for love and forgiveness, by Louise Hay straight from her book: “You Can Heal Your Life.” Of all the “forgiveness” exercises I have ever done, this is most effective. (Read aloud or record to play back to yourself). 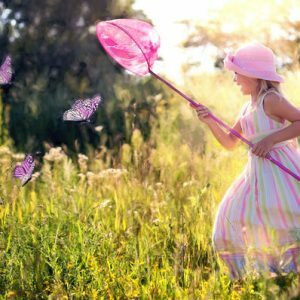 Begin to visualize yourself as a little child of 5 or 6. Look deeply into this little child’s eyes. See the longing that is there and realize that there is only one thing this little child wants from you, and that is love. So reach our your arms and embrace this child. Tell it how much you love him/her and care for it. Hold it with love and tenderness. Admire everything about this child and say that its ok to make mistakes while learning. Promise that you will always be there no matter what. Now let this child get very small, until it is just the size to fit into your heart. Put it there so whenever you look down, you can see this little face looking up at you, and you can give it lots of love. Now visualize your mother as a little girl of 4 or 5, frightened and looking for love and not knowing where to find it. Reach out your arms and hold this little girl and let her know how much you love her, how much you care. When she begins to feel safe in your embrace, let her get very small, just the size to fit into your heart. Put her there with your own inner child. Let them give each other lots of love. Now imagine your father as a little boy of 3 or 4—frightened, crying, and looking for love. See the tears rolling down his little face when he doesn’t know where to turn. You have become good at comforting little children so reach out your arms and hold his trembling body. Comfort him. Croon to him. Let him feel your love, and that you will always be there.When his tears are dry and you feel the love and peace in his little body, let him get very small, just the size to fit into your heart. Put him there so those three can give each other lots of love and you can love them all. 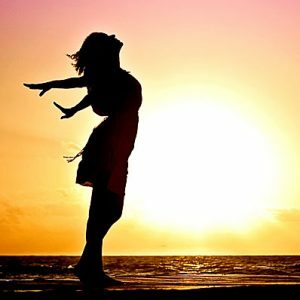 When you need to replace unloving thoughts with those of self-love, you can begin with affirmations. (Write them down. Read them at least daily). Loving myself teaches others how to love me. I am totally willing to learn to love myself. I create love in my life. I am worth every moment I spend on taking care of myself. The more I care for and love myself the more love I will experience from others. I graciously notice what I love about myself. I am doing the best I can. Each day it gets easier. I love myself; therefore, I behave in a loving way. 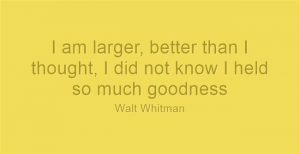 I lovingly allow myself to accept the very best in life. Do you want even more love? Try loving-kindness. The next order of business is expanding on a loving feeling with the intention to extend that general feeling first to yourself and eventually to the world (in order to attract more love into your life)! Most people don’t realize they are “closed for love”, but that takes a hard look at yourself to see if the love is flowing within you. This is the idea of loving-kindness; benevolence, friendliness, care and warmth, compassion, and good will. In other words, wishing well to yourself and others. The most well-known loving kindness meditation is by Jack Kornfield- a simple and powerful loving-kindness meditation that is easy enough to memorize. 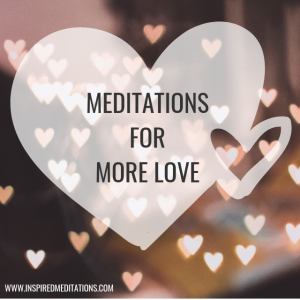 If any of these affirmations and meditations for more love may seem awkward at first, but I was taught this truth from a mentor: If it’s difficult or awkward it means you need it more. Be patient and kind to yourself. Are you FEELING THE POWER OF LOVE YET? Good. Because we’re not done yet! 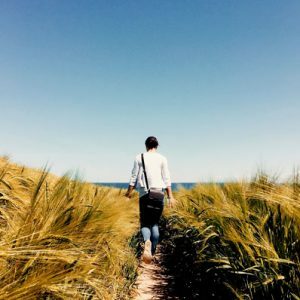 Sharon Salzberg, author and co-founder of The Insight Meditation Society, suggests an interesting loving-kindness exercise to all her meditation students. 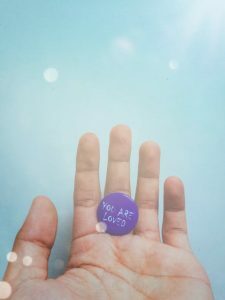 She asks them to find someone in their lives they don’t have strong feelings about- someone they, in fact, barely notice….and to begin paying attention to that person in meditation- practicing the loving-kindness phrases intentionally towards that person. Picture them and wish them well. With this, you begin to see firsthand how love spreads around you. Sharon reports her students have amazing experiences doing this! Indeed you can care for a stranger. 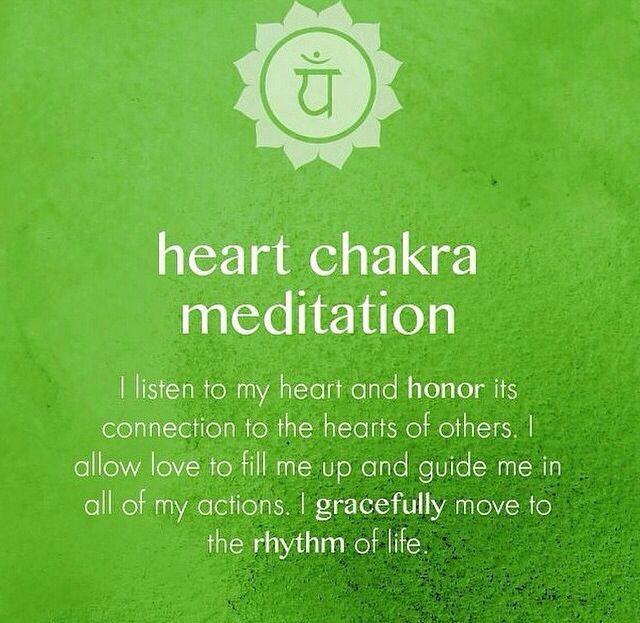 It wouldn’t be a love post if I didn’t mention your heart chakra. 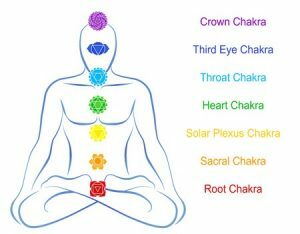 Whether you know much about your chakra system or not, having personally had my chakras worked on made me a true believer in this distinct energy source. Chakras are basically your emotional energy system; there are 7 energy centers in our body. While we may unwittingly believe our emotions do not affect our body or our energies because we stuff them down or use addictive substances or completely ignore our emotions, they most certainly affect us one way or another- first our energy system then our physical body. That’s why I call it mind-body-spirit-emotional health. You have a codependent relationship. You don’t feel that you have the love you deserve. You feel disconnected from others. Physical symptoms include any heart or chest ailments from asthma to heart disease. One of my first, and most popular, recorded meditations was The Self-Acceptance Meditation. 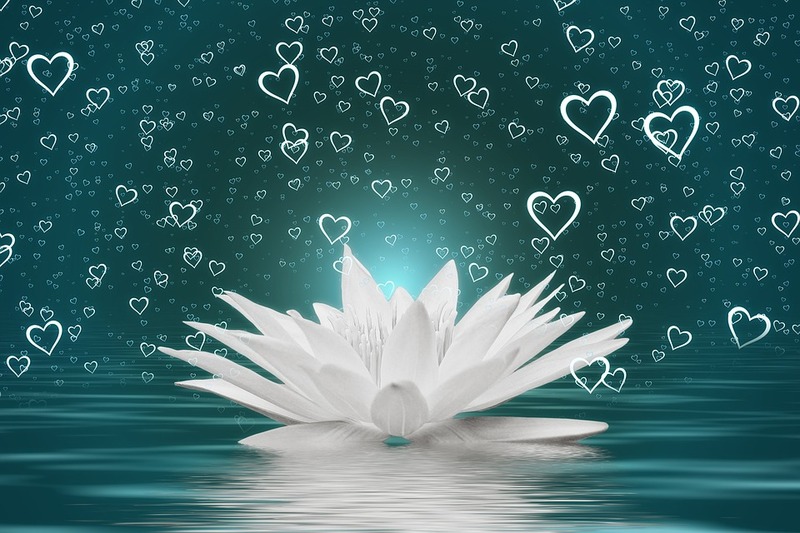 If you are serious about inviting more love into your life, please begin with this meditation; a sincere appreciation, and loving-acceptance of yourself, including the 3 gifts you were given the day you were born. This touched me in ways I can’t explain. Thank you, Laura.